I love in NY and our winters are brutal, this stroller sock( I call it that way) is amazing. It protect my baby from the cold wind and cold in general. Early to install and to use. Love that you can unzip from both sides and have little clips that can be used to make it different length. ConsThe canapy in the stroller does not fit on top of this think and falls off from the white handle. Love this! I've been using since this fall. I like how it comes with two different cover--I've been using spring/fall cover and recently switched to downfill cover. Baby seems very comfortable and no more falling blankets!! It's must have!! This is just what I was looking for, and so far it has been great! Easy to use, comfortable, warm, and I love that it has a heavier weight and lightweight version. Purchased this for Buffalo. It comes with two separate footmuff--one for spring/fall and one for winter. Very easy to put together and machine washable! I'm currently using light one for transitioning weather and am looking forward to use heavy one for cold Chicago winter. 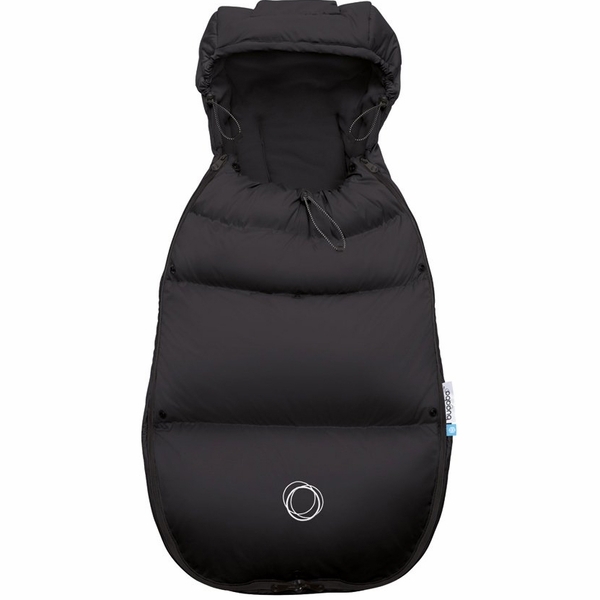 This thing is awesome - already used it once in cold but not super cold weather and my baby girl was toasty warm! Love it! Can't wait to use in the deep Chicago winter! ... By the way- love that it comes with a lighter weight spring/fall attachment which makes this all weather! This item is great, what more can i ask for being water and wind proof. Also its really easy to clean after a spill, when my son takes off his hat and it's cold, i pull out the hat from the footmuff. It's so useful. I was hesitating between high performance and regular Bugaboo footmuff and we decided to go with this version. Very very happy with this purchase. Well made and it is very warm. They include two covers - one for warmer weather and one for when it is really cold. The soft pink cover looks very pretty too. Overall a great footmuff. 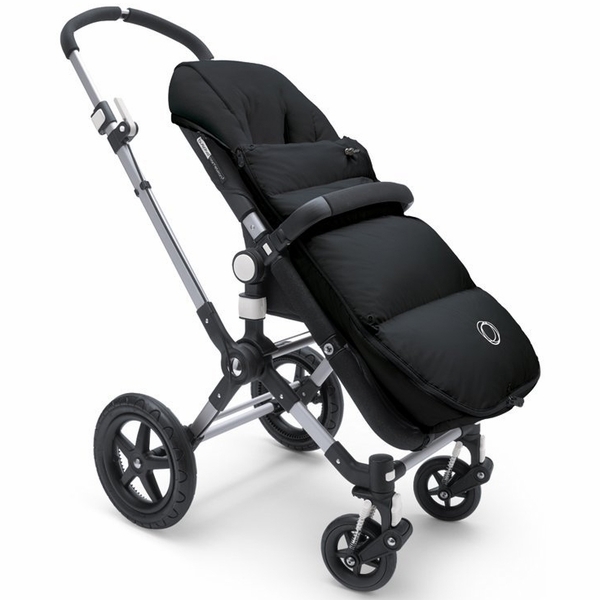 I use with not only with our Bugaboo Cameleon stroller but also with our BOB Revolution stroller. Weather-resistant thanks to high-performance materials. Adapts to the different seasons with its 2 detachable covers. Protects form dirty feet with dirt shield inside. Easy attachment with Velcro slit openings. Can be used as footmuff or seat liner in many different options. Shell fabric with Teflon® finish, water- & oil- repellent, windproof and breathable. Winter cover: duck down filling & spring/fall cover: polyester. Adjustable cords for protection around the head.